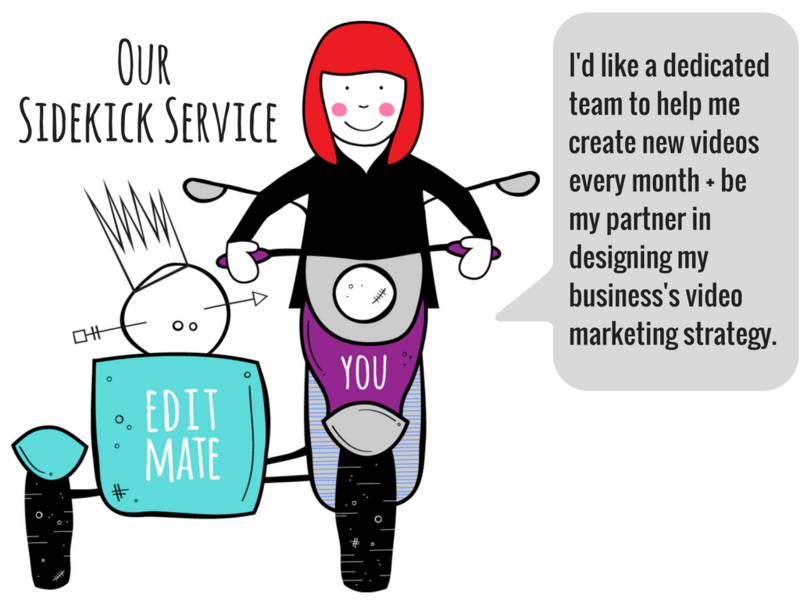 Sign up for our Sidekick Service and make EditMate the video division of your business. Get custom video content. Every month! We’ll work with you to design a video strategy and deliver videos that match your brand and messaging. Working with a dedicated EditMate project manager, we make it easy (and super affordable!) to add video to your marketing plan. ITC uses our Sidekick Service to produce 3 new videos every month. Using their custom built ITC by EditMate app, their students and staff upload footage and our editing team gets to work! Each month, we cut 3 videos perfectly formatted for sharing all over social media. Interested in learning more about our Sidekick Service? Send us a message and a Director will email you!